This DLL can be used for playing multyplayer games on the Internet. The comunication is based on the UDP, because that gives more freedom in writing games, but you will have to figure out what will be structure of the comunication and what synchronization is needed. The cryptography algorithm it uses is the AES. It encrypts 128 bit (16 bytes) blocks and uses 128, 192 or 256 bits (16, 24 or 32 bytes) long keys. a) returns 0 if all is OK, other, if it is not. b; if you write 'any.222.222.222:61111' (global.ReceiverIP_Port2 = 'any.222.222.222:61111'), from any IP. Then you must read from what IP:port the packet came from (etc. global.ReceiverIP_Port2). 7. Encrypt - Encrypt a 16 byte Message with defined Key; if the message is shorter, then the functions will add 'p' to fill the strting to 16 length. All functions call strlen() to obtain the string length. Therefore, you should *ALWAYS* initialize the string parameters with the desired number of bytes (length) in order for the functions to work! We've done this, because of some GM limitations about the number of string parameters of a function and the way GM handles pointers and string parameters. Remember to *ALWAYS* check the return value of all functions. Edited by the_keeper, 24 July 2008 - 08:46 AM. Is this any faster than GMSock or 39DLL? You can make it as fast as you want, because this is UDP comunication dll, and it allows to not lose trafic for receiving answer, when the package is received (if the game is synchoronised with 'OppMissle1.x = ...' or 'global.OppLife1 = 2000' or this kind). If You have any other questions, write me and I will answer You with pleasure. The DLL just checks the parameters of the functions and then passes them to the system calls that are listed in the first post. We cannot say how fast it is, but I think that passing parameters and calling the Winsock functions is pretty fast and should be the same as all other networking DLLs. However, we haven't tested them. BTW, the DLL uses blocking sockets. However, you can control the timeout of recvfrom() calls. What exactly do you mean by fast? What do you mean by faster? This is an UDP wrapper and the two things that influence speed is the network speed and the speed of calling the functions. Maybe you mean the second. As I said, it should not be any slower, but we haven't tested any other DLLs. Nice work but it is kinda useless since 39dll covers all of this an ALOT more. We just needed UDP communication and AES 256 and decided to write it and share it with others. It still could be useful in my eyes, receiving data from specific people connected to your server could help decrease spammage but other than that I personally have no use for it. EDIT: Wait a minute, are you saying this is Guaranteed UDP Sending, meaning no traffic will be lost? So its like TCP but no packet ordering, etc. So it still should be fast? Edited by Doogie_Forever, 02 August 2008 - 01:48 PM. Edited by cephei, 03 August 2008 - 10:42 PM. As for guaranteed delivery, this is just a wrapper. It calls directly the WinAPI functions. 39DLL is winsock, just as this, you cant "make" it faster, its all the way you code your game. Winsock is winsock. "You can make it as fast as you want, because this is UDP comunication dll, and it allows to not lose trafic for receiving answer, when the package is received (if the game is synchoronised with 'OppMissle1.x = ...' or 'global.OppLife1 = 2000' or this kind)." There is small changes that we must do in the code, for being much easy used in game codes. 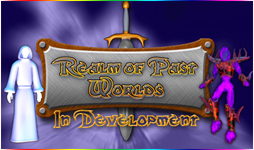 The dll was written for our game (Yu-Gi-Oh The Power Within), at the moment we are working over the translation of the forum (http://tpw.getforum.org), who is about the game. Edited by the_keeper, 12 August 2008 - 05:20 AM. It's easier, yes, but is it more functional than 93dll? No matter what, I will write the online part of the game, usind 39dll, not this. When it beats the quality of 39dll, then I will replace it with this one. Hmm.... I like 39DLL better. However, 39DLL hasn't had updates for years.